The ubiquity of internet-based correspondence has enabled dispersed teams to communicate no matter where they are located, but for architects, designers, and engineers, this is just the first step. Global teams and joint-venture projects are increasingly common, and many projects require virtual co-location if the partnering teams aren’t able to be in the same physical location. Companies have sprouted based on the need for BYOD-compatible file sharing, and these solutions work for Microsoft Office documents, slides, and videos, but CAD drawings and BIM models still required specialized software to view and interact with when downloaded. —”BIM In The Cloud: Architects & EngineersCan Work Together.” LineShapeSpace. 2013. In traditional architectural design settings, design team members sit together to hear a presentation, discuss design issues, and sometimes, sketch a preliminary design that can then be carried out in detail by one or more team members after the meeting. —Gross, Mark D., Ellen Yi-Luen Do, Raymond J. Mccall, Wayne V. Citrin, Paul Hamill, Adrienne Warmack, and Kyle S. Kuczun. “Collaboration and Coordination in Architectural Design: Approaches to Computer Mediated Team Work.” Automation in Construction 7.6 (1998): 465-73. 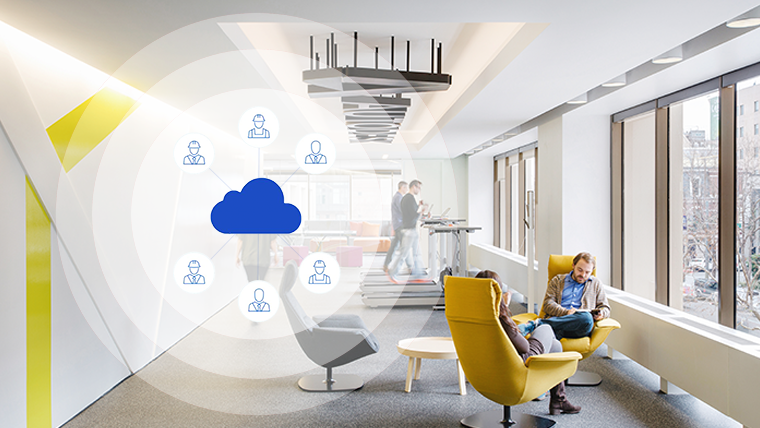 BIM 360 Team enables teams who, previously, would face technological hurdles to collaboration across geographies, to virtually co-locate. Learn how BIM 360 Team enabled co-location for Moriyama and Teshima Architects and Architecttura on the Windsor City Hall joint-venture project.